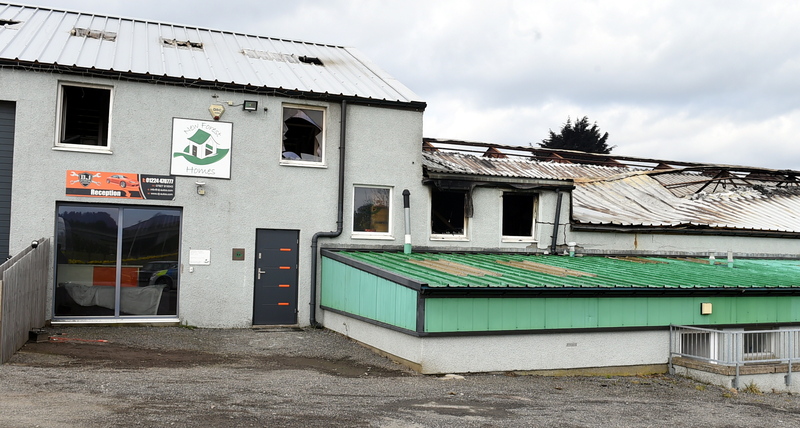 Businesses have been left counting the cost of a fire at a north-east industrial estate. 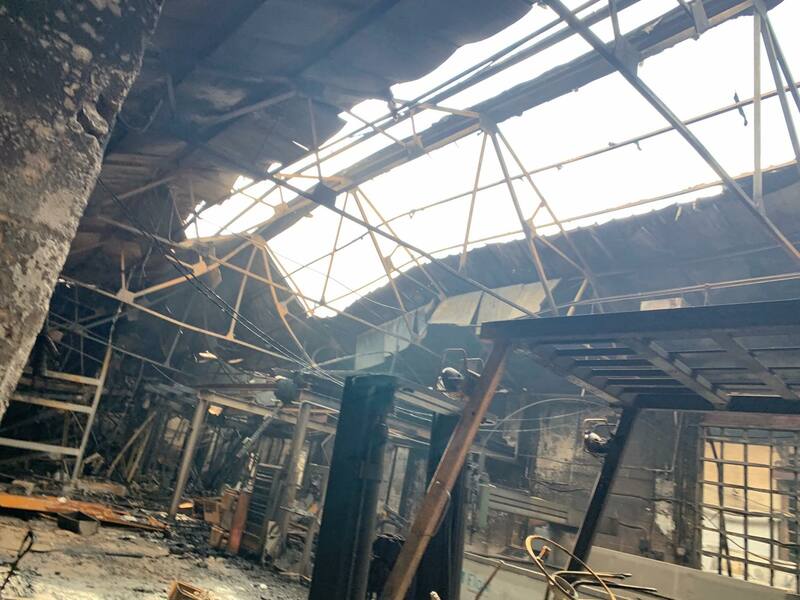 Scores of firefighters were called to the blaze at Smiddybrae Works industrial estate in Skene Road, Kingswells on Saturday afternoon. It is understood the blaze started in a car dismantling workshop at the rear of the estate before spreading into the other surrounding buildings. 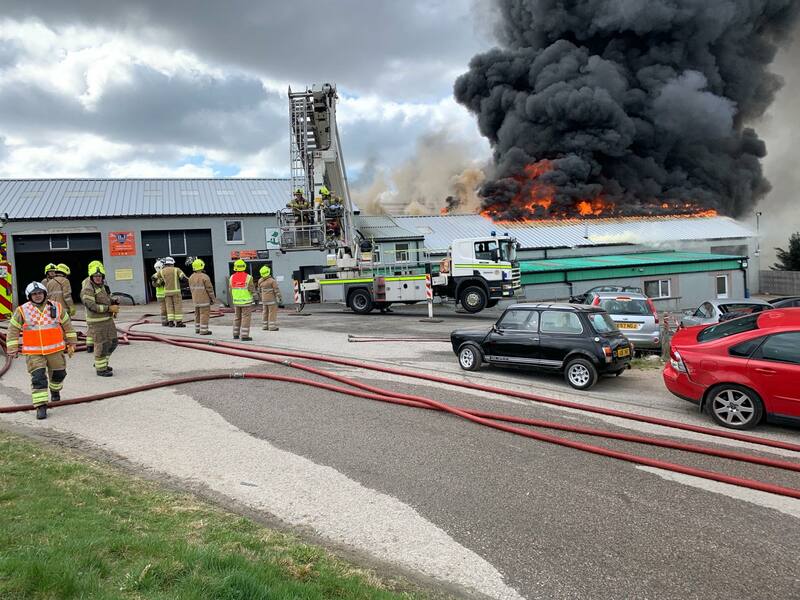 A total of 10 fire engines were at the industrial units throughout the day, with the adjacent A944 Aberdeen to Westhill road also closed by police. The fire left the metal roof of the building collapsed, with the interior also believed to be badly damaged. There are a number of businesses based at the site, with a car garage DJ Automotive Engineering and a photography studio among them. Judy Laing only set up her studio in the New Forest Homes building in September, after launching her newborn photography business. The studio was also home to another baby photographer, Sarah Ferry. Mrs Laing only learned her business had gone up in flames when she saw multiple posts on social media. She said: “It was a bit of a shock to find out on Facebook. “I took a trip down yesterday (Saturday) and watched as it burned down. Everything is pretty mangled, I haven’t been inside yet but I have seen a few photos. “All of our equipment will be destroyed, I’m not sure if we would be able to salvage anything at all, even if it’s not melted it will be smoke or water-damaged. Both photographers are now looking for another unit which they can work out of, it does not need natural light and should be about 20ft by 26ft. 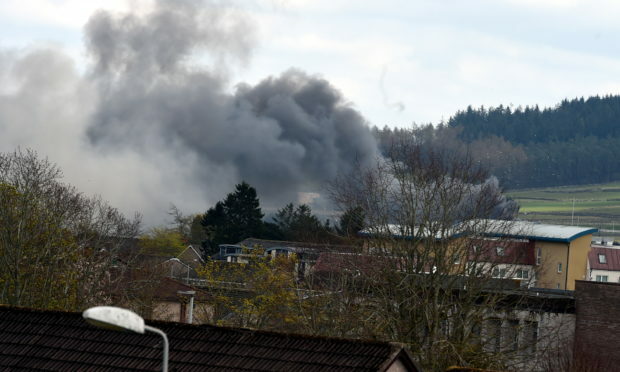 A fire service spokeswoman said: “The Scottish Fire and Rescue Service was alerted at 2.21pm on Saturday, April 13 to reports of a fire within a warehouse in Aberdeen. “Operations Control mobilised a number for fire engines to Smiddybrae Works in Skene Road where firefighters extinguished the fire. A photography studio was among the other businesses based in one of the units.